Once again my wife has come up absolutely trumps. 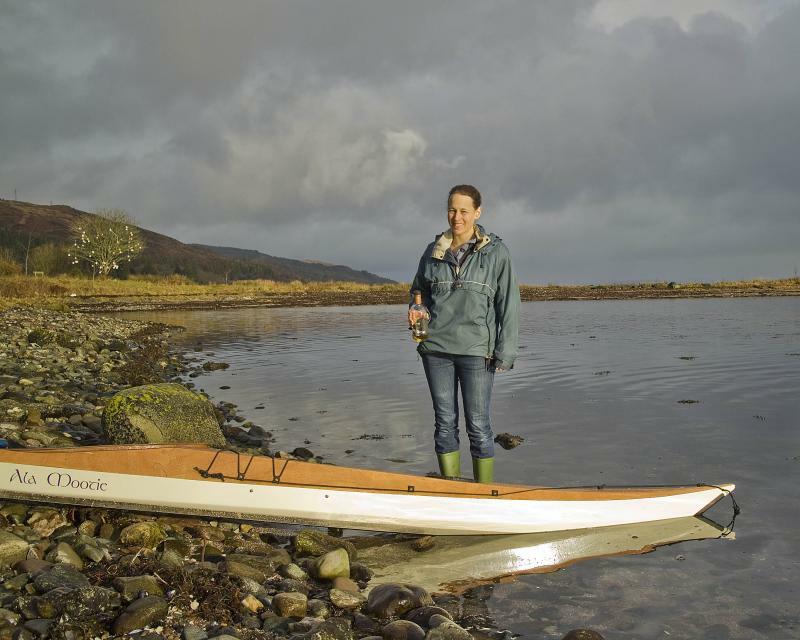 Having bought me the kit for my kayak back in October, she then booked us a week in a stunning cottage right on the shore of Loch Fyne so that I could launch it and have a play in it. Yesterday was the big day and it only seemed fitting that she should have the honour of launching her. The traditional breaking of a bottle of champagne being replaced by a wee dram of a more local brew poured over the bow. With the peaty smell of the Jura mixing with the salt air, it was then off into the loch for her maiden voyage. A small island just outside the bay seemed a fitting target and soon she was threading her way between small gaps in outlying rocks. Initial impressions are that she has, despite her slender 20" beam, really quite high initial stability. Emma, at first worried recalling tippy episodes in river boats, gave her a shot and was suitably impressed too. I have to admit not wishing to push her secondary stability too far, the water being slightly on the cooler side of warm. While she will turn relatively easily, putting her on edge has her swinging round surprisingly fast. While the sea state is probably slight today, the wind has picked up significantly, so I gave the skeg a try and it definitely seems to keep her firmly tracking, though even without any skeg things weren't too bad at all. 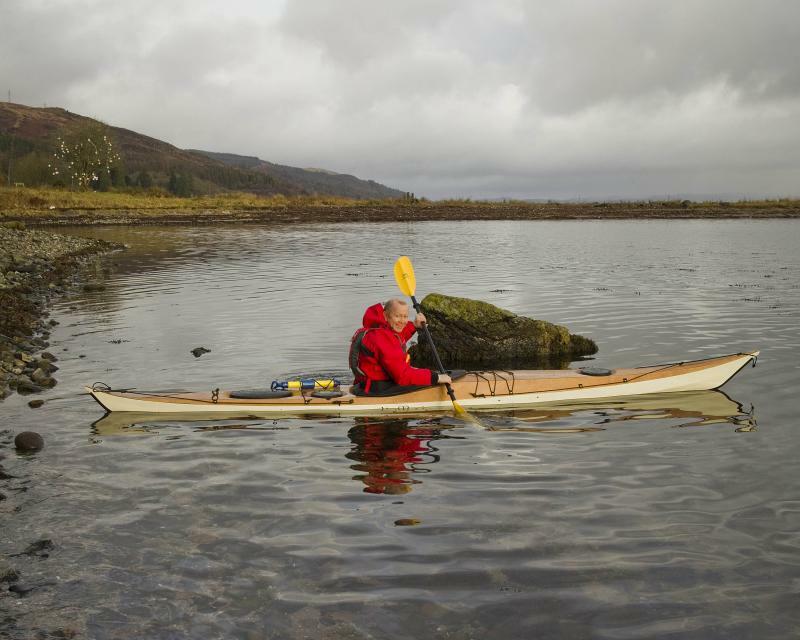 It's very hard to give a fair review about how she compares with other boats I've paddled, especially having only paddled in exceptionally limited conditions and only unladen, but I was grinning all the way round the island this morning. Well done! It looks like you chose a great spot for launching. Enjoy the rest of your week.